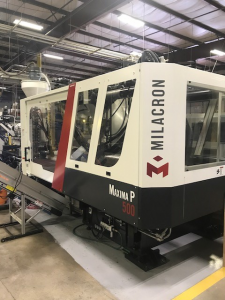 PPE has recently added 2 new machines – Pittsfield Plastics Engineering, Inc.
PPE has recently added 2 new machines to its already impressive injection molding machine lineup. 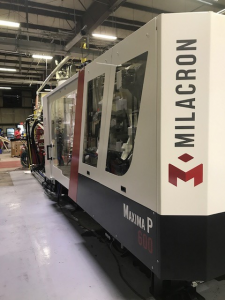 Both of the new machines are manufactured by Milacron. One of the machines is an MPs600 with a 140 oz. shot size, and the other is an MPs500 with a 105 oz. shot size. The new machines will allow PPE to expand its capabilities to more markets, requiring larger machines with more robust shot sizes.